This part came with an Arduino starter kit bought in preparation for the first Limerick Hackathon. It was really difficult to find information on the web about this part. The part description said that this was a common Anode display, which is wrong, it’s a common cathode. This means that you need to connect resistors to the pins driving each digit (rather than each segment pin with a common anode) to avoid blowing the LEDs. So to display a number 1 on the third digit you would power pins 4, 7 and 8. To display numbers on all 4 digits, you need to introduce a delay in between powering each digit in your loop() block. 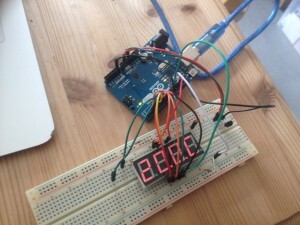 To test I rigged up a LM35 temperature sensor to an Arduino board and displayed the temperature on the display. 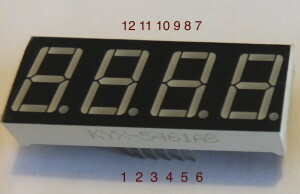 The display was a bit dim as the lowest resistors I had were 1kΩ which were too high. 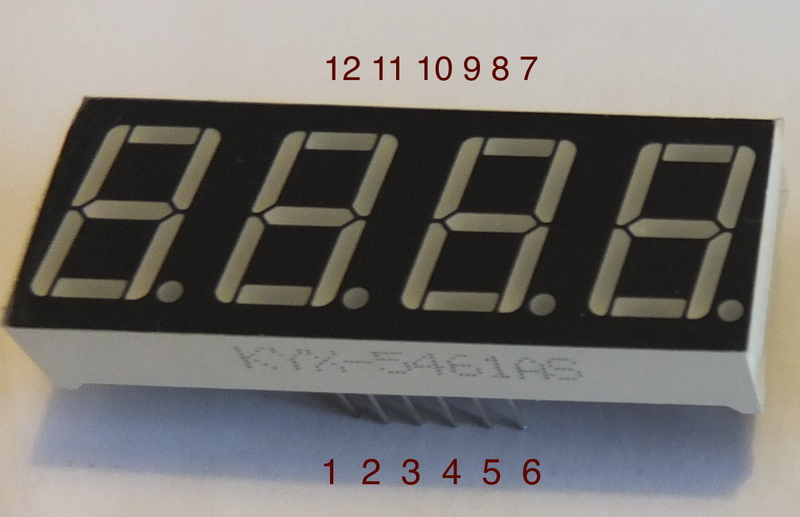 Here’s the quick code I wrote to read the temperature from a LM35 temperature sensor and display it on the KYX-5461AS display.